PALADIN is a bootable Linux distribution based on Ubuntu which has been carefully modified to protect the integrety of digital evidence. PALADIN is available as a downloadable ISO or as a pre-configured USB. The PALADIN ISO is made available as a link after you “Set Your Own Price” in the SUMURI Shopping Cart. All funds received for the PALADIN ISO or the pre-configured PALADIN USBs are used to continue the development of the PALADIN project. 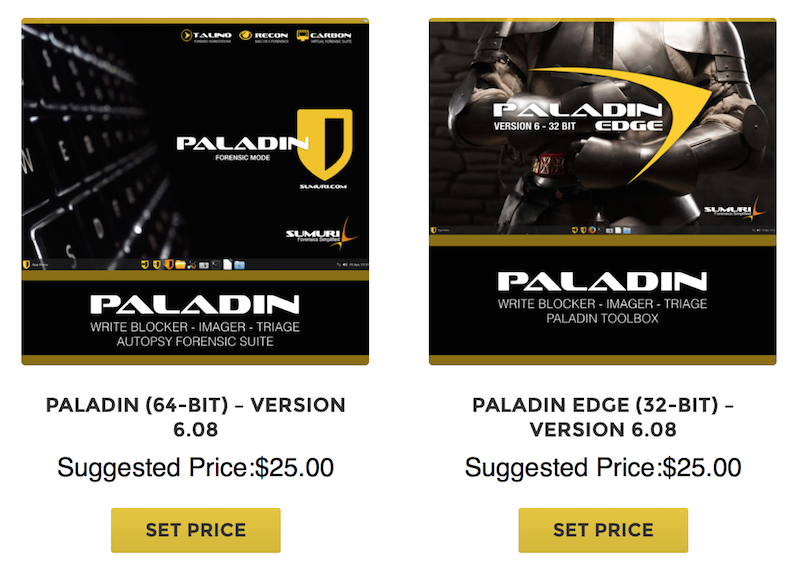 Although, PALADIN can be downloaded for free we hope that you choose to contribute to the PALADIN project. 1.) Visit the SUMURI Store here and choose the version of PALADIN you would like to use (32 or 64-Bit). 2.) Download UNetbootin from here. UNetbootin is donationware that can help you to create bootable USB’s from ISOs and is available for Windows, Mac or Linux. Update (1/2/2019) – We recommend using Windows or Linux versions at this time as the Mac Version of UNetbootin does not copy over all the files. 3.) 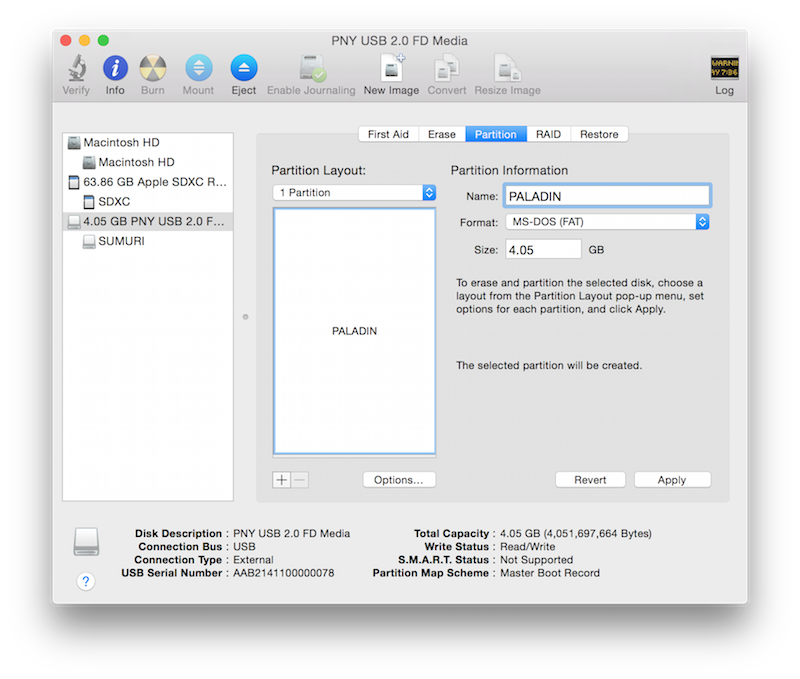 Format your USB flash drive as FAT32 with a Master Boot Record. 4.) Start UNetbootin and select the PALADIN ISO using the “Diskimage” option. Make sure the correct USB has been identified and choose OK. 5.) 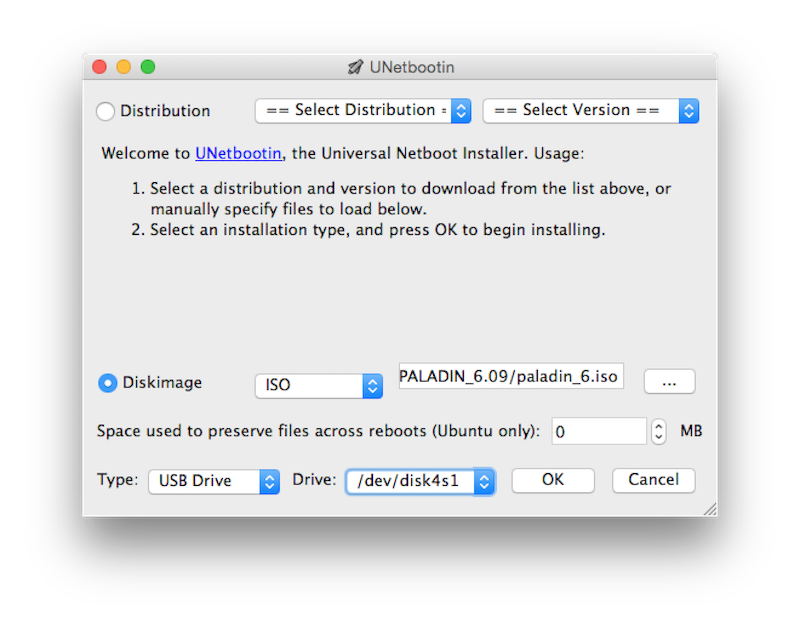 Wait for UNetbootin to complete then test and validate your new PALADIN USB. Enjoy! 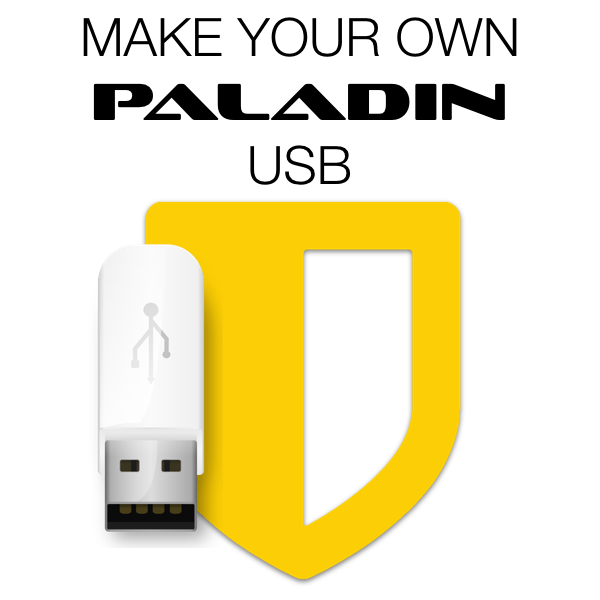 To support the PALADIN project by purchasing a pre-configured PALADIN USB please click here.